Product prices and availability are accurate as of 2019-04-18 19:23:27 UTC and are subject to change. Any price and availability information displayed on http://www.amazon.com/ at the time of purchase will apply to the purchase of this product. The Multi Angle Measuring Ruler is a handy and professional Template Tool for creating specialized shapes in tile, wood, floori, brick paving stone, lumber, laminate, etc. 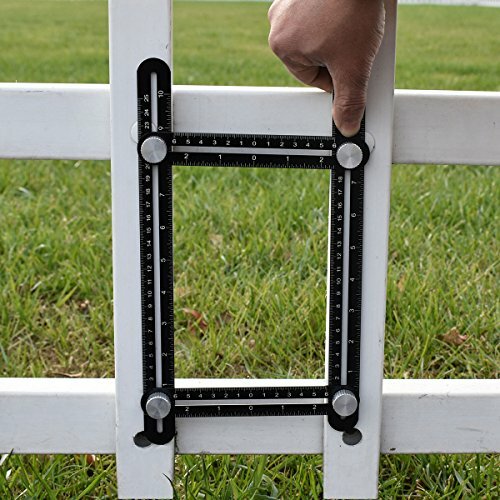 Intended Use: Marking Lumber, Angles for Paver Bricks, Spacing and Gauging. Best for: builders, craftsmen, carpenters, roofer, tiler, diy projects, etc. 1. Loosen the 4 tightening knobs. Expanded the tool. 2. Place the tool onto your work area, adjust the free-to-move rulers to match the desired pattern. 3. Once you have made an angle that your satisfaction, tighten the knobs to lock the shape in place. 4. Create layouts in tile, brick, stone, lumber, laminate and more. 5. After use, repeat Step 2-3, fold up the ruler, convenient to carry. The ruler's scale number is etched by laser, it is more clearer and precise than the painting one, and it can last longer for the marking won't wipe away. 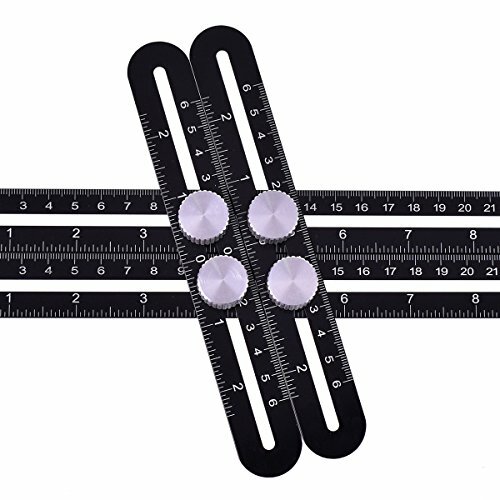 The ruler's body made of aluminum alloy and knobs made of aluminum, looks nice, suitable as a perfect gift. 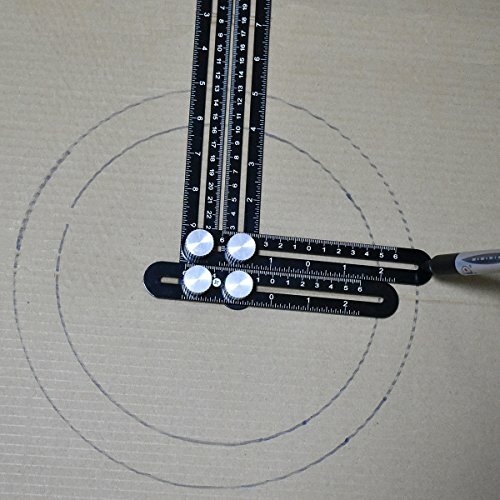 The ruler with no gaps on plane, allows you to draw a more accurate line. 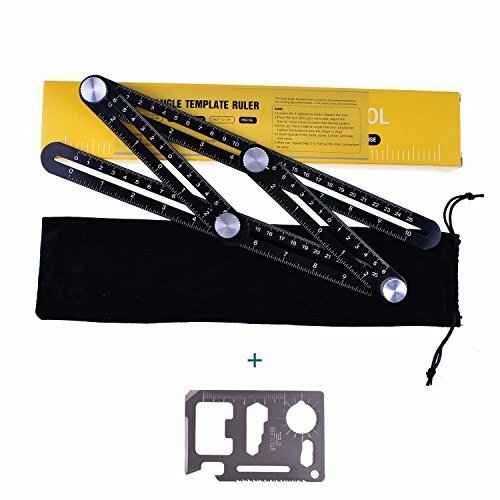 DURABLE MATERIAL: The upgrade multi angle measuring ruler made of premium aluminium alloy and the knobs made of aluminium, Will not Break. Excellent texture, best gift for builders,carpenter,craftsmen,handymen. EXQUISITE TECHNOLOGY: The ruler using laser engraved marking that Won't wipe away, and with inch/centimeter measurement system, 0.1 inch/1 mm measurement accuracy. It will make your work more enjoyable. 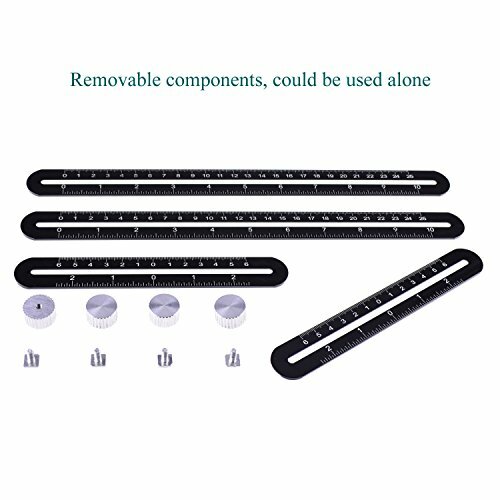 EASY to USE: On your work area, adjusting 4 knobs ensure you can slide the ruler to create layout you needed, and tighten the screws. Then have your flawless measurement which can now be transferred and traced onto any material. MULTIPLE APPLICATIONS: Easy create layouts in tile, wood, flooring, brick, paving stone, lumber, laminate, etc. The template tool is for creating bull eyes, arches, plumb cuts projects. 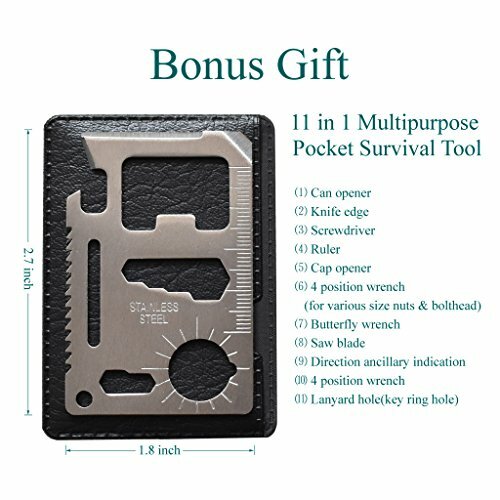 SERVICE PROMISE: Buy Now, You Can get Bonus Gift(11 in 1 Multipurpose Pocket Survival Tool). 100% satisfaction or money back guarantee for any dissatisfied reasons. risk-free purchase.